We offer tailor made solutions to meet all your gardening needs, always using professional landscaping and horticultural practises. We all have different aspirations for our gardens. Whether you want your garden as a place for relaxation, entertainment, reflection or play, I’d love to help you create your perfect outdoor space; one tailored to your personal style, practical needs, and budget. Certified by Royal Botanic Garden Edinburgh, I have strong expertise in garden design and a passion for plants and our natural environment. From cottage gardens to naturalistic prairies, I can help you to draw out the full potential of your garden, no matter how large or small. To arrange an initial design consultation, get in touch today! Planning a Garden for Spring 2019? I will help you to create a beautifully sustainable design for your your garden, to suit your personal style and practical needs. 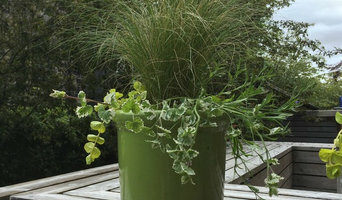 I offer both full design consultations and detailed planting schemes. Based in Glasgow, Sarah Jane Kerr is a garden designer offering a range of bespoke services to clients wishing to transform their outdoor spaces. Based in Glasgow, Jeremy’s design studio is recognised for its horticultural expertise and intelligent design. We aim to create gardens that are sensitive to their sense of place while incorporating innovative ideas. The best craftsmanship is combined with vivid and evocative planting schemes to create beautiful spaces. tel: 07792 631371 Projects range from small and large private gardens, hotels and period restorations. Terra Firma Gardens is Glasgow's premier landscape company and is run by Susan Gallagher BA (Hons) Landscape Architecture. We have been designing and building high quality gardens in and around Glasgow and Edinburgh for over 25 years. Our gardens are individually designed by landscape architects and constructed by our highly experienced and skilled in house team. We cater for all sizes of gardens and we are fully insured, our work is guaranteed and many references are available from previous happy clients. We provide a free initial consultation. 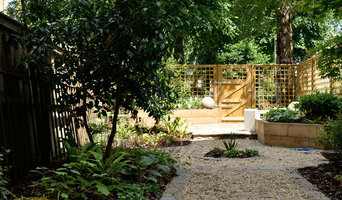 We carry out a bespoke garden design, construction and planting service. Every garden is different and we strive to produce creative and interesting solutions for each client. Established in 2003 upon leaving college. Briarlea Landscapes are a family run business and have been established since 1998. The director and founder of Briarlea – Andrew Cummings has been in the industry for over 20 years and prides himself and his company on up and coming design and installation. 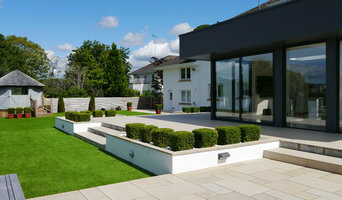 Briarlea offers a 1st class service and prides themselves on attention to detail and this is what has made them central Scotland’s largest and most reputable landscape design company. Due to us expanding and our customer base expecting more we out grew Rosebank and have moved to brand new premises in Larkhall. Here we have built a Bespoke Landscape and Driveway Display Centre to show and offer inspirational ideas for your landscape and driveway projects, large or small and house all of Marshalls Paving Products for you to come and peruse at your leisure. What makes us different? We have a vast range of trades all full time within the company and DO NOT sub contract to anyone. From a bricklaying team, artificial putting green installation team, hard landscaping installation teams, fencing and soft landscaping teams, therefore providing you our customer the best possible finish on your project. We are also the only landscape company where you can come and see the products in a landscaped enviroment at your leisure. Welcome to Macdeck Landscaping Macdeck Landscaping (formerly Macdeck) is a specialist Decking company that has gradually moved into Landscaping due to demand from customers for the additional finishing to complete their gardens. We specialize in hardwood and softwood decking, timber structures, landscaping and garden redesign. 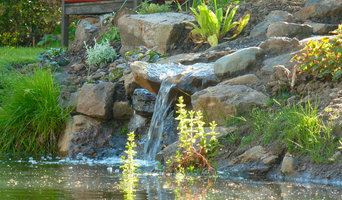 Our Engineering background enables us to deal with the most awkward of gardens, whether it’s a steep slope, crumbling wall, awkward corner or even flooded ground - providing innovative solutions which allow us to create designs that transform your garden, can provide more space and enhance the value of your home. We have been transforming gardens for over 15 years and we adapt a "belt & braces" approach - ensuring the design we create & build is a safe environments for the years ahead. With over 25 years Engineering experience we are able to use this knowledge to create impressive designs & structures in the harshest environments, steepest of slopes and wettest of ground. Innovation is core to how Macdeck Landscaping approaches our projects, continuously thinking outside the box to provide unique garden designs each time of asking. If you need help planning the perfect garden project, thankfully,Landscape Gardeners Glasgow has spent large amounts of time creating and implementing the finest garden landscape designs across Glasgow. Our expert landscape services which include's decking, driveways fencing and patios have been displayed all over Glasgow for the past 24 years, working with our clients to fit their budgets and more importantly their garden landscape desires!. We are a professional and reliable landscape company In Glasgow that delivers on Its promise year after year satisfying Its customers and getting more work from word of mouth. Get In touch today on 0141 280 2585 and myself or one of the team of gardeners will be happy to answer any of your questions before arranging a free consultation on our next available appointment. The company offers a fully integrated design service from original concept to implementation and will transform your space into a fully functioning outdoor room that can be used all year round. 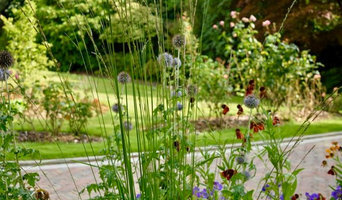 Projects range from small planting plans to completely co-ordinated designs, build package, maintenance and aftercare. Most of our works so far has been around Glasgow and the surrounding areas, though we are happy to work outside of these regions. A professional and all inclusive garden service. From designing and building your new favorite outdoor space to maintaining your garden throughout the year. Hepburn Landscaping have been providing services within the garden landscaping sector for many years, covering all areas of Glasgow, South Lanarkshire, East Kilbride, Hamilton, Paisley, Lanark, Renfrewshire and more. As a garden landscaping company we believe that we have a different approach to the garden landscaping industry than other companies around. Not only by giving a more personal approach in our projects but ensuring that we take all your aspirations into account from the best material used to suit all budgets and more... we want you to have the dream garden you've always wanted and we will do everything in our means to ensure we deliver that. Whatever your Glasgow, Glasgow City garden looks like, and whatever its size, you can probably benefit from the services of a Glasgow, Glasgow City landscape architect. If your neat rectangular flower beds and manicured lawn just aren’t cutting it anymore and you have grander aspirations, that’s where professional garden designers in Glasgow, Glasgow City can come in. Not only can a landscape architect design a garden that a Chelsea award winner might be proud of, they can also completely change the value of your home by looking at your landscape architecture as a whole. The work of a landscape architect serves much more than your garden; it makes the most of your outdoor space in a way that showcases your entire home. Landscape architects and garden designers in Glasgow, Glasgow City vary in their range of services, so think carefully about what you want from your garden design professional and how extensive a project it will be before hiring them. A landscape architect will handle all design, supply, construction and administrative elements of your garden or landscaping project. They will take into account your needs, the Glasgow, Glasgow City climate and unique advantages and constraints of the landscape architecture. Typically, work will be based on ecological and environmental considerations, and a garden will be planned not only to look its best but also to facilitate future maintenance and growth so that it continues to flourish. A Glasgow, Glasgow City landscape architect can also design any outdoor buildings that are to be featured in your garden. Everything from design blueprints through to the plants themselves should be provided by your Glasgow, Glasgow City landscape architect. If there is other architectural development taking place on your site, bring the landscape architect in as early as possible. The expertise a landscape architect can apply to understanding your space and the natural environment could be vital to planning your project. Let your Glasgow, Glasgow City landscape architect work closely with your architect, surveyor and any other contractors in order to develop landscape architecture that works in accordance with any other construction. This is important from a design perspective as well as on a practical level – changes to the grading of a landscape and modifications such as drainage can have serious implications on the viability of your land for extensive building and structural works. In order to resolve any planning permission issues, submit all applications for building and landscape architecture together, well ahead of the project. The scope of garden designers, or landscape gardeners, is often more limited to green space projects which will optimise your existing outdoor space rather than altering the landscape architecture as a whole. Whereas landscape architects specialise in the structural aspect of garden planning and building, garden designers in Glasgow, Glasgow City will carry out projects that are of aesthetic and horticultural value. Landscape gardeners will make your garden the best version of itself with features such as walkways, patios, water features, fences and lighting, as well as choosing the right plants, trees and flowers. The practical role of a garden designer may vary by firm – some offer just the plans, requiring a separate contractor, while others fulfil the project in its entirety, from conceptualisation of the landscape gardening to construction. Don’t be put off by the former if you happen to find a good Glasgow, Glasgow City garden designer that you like – he or she will have local industry connections to introduce you to quality, reliable gardening professionals with whom they have existing relationships. Here are some related professionals and vendors to complement the work of landscape architects & garden designers: Landscape Contractors, Garden & Landscape Supplies, Tree Services, Lawn & Sprinklers, Decks, Patios, Sheds & Summerhouses. How do I choose landscape architects or garden designers in Glasgow, Glasgow City? When choosing your Glasgow, Glasgow City garden designer or landscape architect, be sure to research their qualifications and look at examples of their previous work. A portfolio of previous landscape architecture or garden projects is important to ascertain both their credentials as well as their style. Once you have shortlisted or chosen your architect or designer, an on-site meeting is essential so they can see exactly what they’ll be working with. Stay briefed on all plans and developments, both before and during the project as a plan you approved previously may change during the course of the project. Be very clear on your budget – just like plans, costs may alter while work is underway so ensure your professional keeps you informed and does not incur additional expense without approval. If you are open-minded and budget-conscious, consider approaching new graduates keen for experience, who may negotiate a lower rate than more experienced professionals. How long have you been landscape architects or garden designers in Glasgow, Glasgow City? Find a landscape architect or garden designer on Houzz. Narrow your search in the Professionals section of the website to Glasgow, Glasgow City landscape gardeners. You can also look through Glasgow, Glasgow City photos to find a garden you like, then contact the garden designers in Glasgow, Glasgow City who worked on it.